The “metrics credit” you see on the new PBN Lab plans is a predefined “allowance” for metrics data from Majestic and/or Moz, depending on the plan. By setting a limit on the metrics data consumed by each user, I have been able to offer better value plans, with a lower monthly cost. Is 1 domain worth 1 credit? No, not quite. 1 credit is used for each domain name – where metrics are fetched specifically for you. So yes, at worst…this does mean that 1 credit = 1 domain, but the reality is that your credit goes a lot further. Read on! Internal caching: More results and metrics for everyone! The PBN Lab Metrics Engine utilizes internal caching, which means that each domain only has its metrics fetched once, within the cache period. If we already have recent metrics for this domain name in cache: these cached metrics will be used to deliver your results. Your “domain credit” allowance is not debited for this result, it is effectively “free”. If we do not have recent metrics for this domain in cache: we’ll fetch the metrics specifically for you, and you’ll be debited 1 credit in total.It doesn’t matter if this includes Majestic and Moz data, or just Majestic data. This has been factored into the pricing structure. When will I be debited a metrics credit? 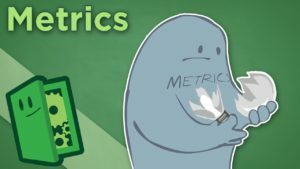 Your metrics credit will be debited when we need to call the Majestic or Moz API to get your metrics. When you find a domain that another PBN Lab user has found, but the metrics in cache are too old (so they’re ignored). When won’t I be debited a metrics credit? When you find the same domain over numerous crawls. How old is the cache? I only want the freshest metrics! The metrics engine drops the cache on the same day that Moz release a new index, so upwards of 1 month, approximately. Why do we cycle with Moz? Since Moz only release and update their metrics about once a month – caching Moz metrics right up until their index is updated makes perfect sense. The metrics never change in the interim, so why make repeated calls to their API? At $1 per 1,000 domains, it’s highway robbery at best. As for Majestic, while their index is constantly changing, their figures only shift ±10%, in most cases. A little more on Majestic: I’ve analysed countless domains, and it’s obvious that Majestic metrics fluctuate more on domains with very few links (logical, right? ), and it is more stable on domains with a greater number of links. Metrics that are just 1 day old can change by 1 or 2 points. After 1, 2 and 3 weeks, the same result. I’m referring specifically to Trust Flow or Citation Flow, where the TF/CF is between 15 and 20. Long story short – there’s no obvious benefit in constantly fetching fresh Majestic metrics either. If we use no caching, the figures fluctuate by ±10% day on day. If we use caching, the figures are still equally as valid. At the end of the day, this means more results for you, and better overall value.